Quality Passport Size Photo Printing Service Online! Get High-Quality Photo Prints! Krishna Studio, where we help you to order digital passport size photo printing Online. We provide best, free high-quality digital photo prints at reasonable costs. Upload your passport photos through our website portal. We deliver your printed photos on your door within 72 hours. Looking for Passport size photos just make a call, KRISHNA STUDIO. Receive photos at your doorstep within 72 hours. Absolutely free of postal charge in all over India. 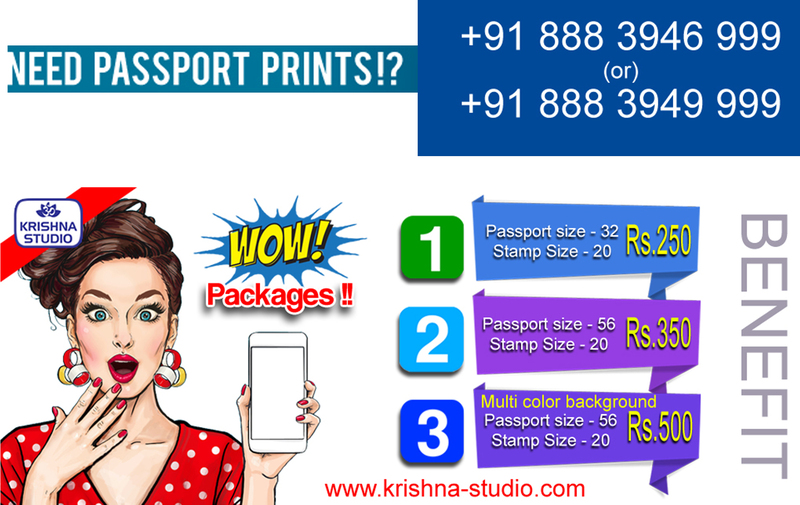 Best Place to Print Passport Size Photos Online - Krishna Studio proudly provide rich online experience to our customer to satisfy their photo printing requirements. We help our customers to get a printing service of their passport size photos with our high-end online digital passport photo printing services. Get high-quality passport size photos with suitable dimension by uploading them using just a few clicks. 32 passport size photos and 20 stamp size photos at just 250 Rs. 56 passport size photos and 20 stamp size photos with free image enhancement at just 350 Rs. 56 passport size photos and 20 stamp size photos with free image enhancement and background color enhancement at just 350 Rs. Krishna Studio website is the best place to print photos online. Upload your photos in online and complete your photo printing order in an easier way. View our complete passport size photos printing package details. Get high-quality photo printing services online in India. Upload Your photos and choose perfect printing size to get best-printed passport size photos online at cheapest prices. Print passport size photo with Tamilnadu best online photo printing website. Online digital passport size photo printing service around India. Order and print multiple photos of different sizes. Krishna Studio offers Online passport photo printing India, online passport photo printing Tamilnadu, and online passport photo printing Madurai. Print your passport size photos online easy. Upload your passport size photo for passport, green card, visa or any ID photo needs. Digital Photography and Photographer Studio Near Usilampatti, Madurai! 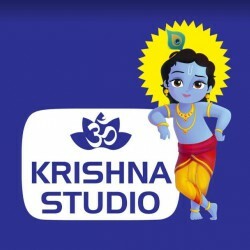 Krishna Studio is the popular family photo studio in usilampatti. We have experienced photographers in usilampatti to shoot all your events in a creative way. We offer wedding photography services in usilampatti, baby photography services in usilampatti, passport size photography services in usilampatti, photo framing services in usilampatti, photo printing services in usilampatti, and photo lamination services in usilampatti.